The opportunity to see The Far Meadow passed me by, ill health, poverty, can’t quite remember which; if it was poverty there is a certain wealth of riches in what is presented before me. Foreign Land is an interesting album that might be very well received in such places. Italy is the main one that springs to mind. Lifting it above what may be by some considered pastiche are the vocals of Marguerita Alexandrou, she sings with the strength and power of Grace Slick (Jefferson Airplane, Jefferson Starship, Starship), that said there is also something very English about this polished performance. I do love that slight vibrato, so many clones at times and Marguerita is not one of them. The keyboards are beautiful, and only one player! 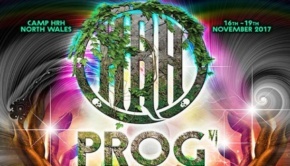 Multiple instruments, multiple styles, very possibly a test-tube baby combining the DNA of Banks, Wakeman, Moraz, Tomita, and numerous other creatures of the keys. In terms of the sound palate, I can hear many of my youth, elements, restructured to produce a modern progressive beast; it is working for me, the balance and attack heard first through a set of Beats headphones, and the drums are perfectly placed within that soundscape – a baby bear porridge, just right. If the notes read right, and I assume they do, the mastering of this is down to the Bad Elephant label alleged ogre, David Elliott. Classy work, David. It would be easy make this album contiguous in a timeline with Genesis’ Trespass from 1970, but though there are places that have that feel it is not dated. I’m rather taken with it. So, it opens with a Tangerine Dream style synthesiser piece, before mixing everything up and Ms Alexandrou starts to sing. It is quite a long intro before her appearance, but she is welcome when she arrives, following Paul Bringloe’s staccato drums and Eliot Minn’s keys, her lyrics delivered in the same punchy style. I remain for now in my Grace Slick/White Rabbit moment, I also get an essence of perhaps what a Genesis in an alternative universe may have been. I would have said the lead singer in a frock, but Mr Gabriel had that aspect covered. Halfway through an 18-and-a-half-minute opener, and more changes than a cross city trip on a London bus (a Routemaster of course). It’s brave to open an album with a track this long in our throwaway society, but I feel it gives more hope and pleasure than pop by numbers, especially as the track now seems to have a little Emerson interlude. All the players have entered, some beautiful bass from Keith Buckman, and superb lead guitar Dennis Warren; very Hackett/Gilmour if you can imagine the two as one. I think I shall become a watcher, if not of the skies, at least The Far Meadow. Only five tracks, but definite value for money, the second being Sulis Rise. That band Yes are here at times, and lyrics sometimes have that soundbite appeal of a Jon Anderson special. The phrasing is similar too. There are no fillers here, every track a full meal, and the album a banquet. The light does indeed dance, close to a bossa nova in fact, they’d get away with that live on one passage, before switching to a subtle Banksian repeating melody, and a hint of Turn of the Century. I may be referencing others works, but it is a review, I am by nature analytical, and I find that my ears are pleased and not disturbed by similarities (those of the overly analytical). Mud has a different texture – well it would, would it not? It has a fun Gothic intro and it makes me smile. As said, or at least hinted, I just get a feeling of a love for making new music, as well as what the band may also have heard over the years. Marguerita’s voice is strong throughout this relatively short track, no faults elsewhere either, and I’m still smiling. Escape is in order for The Fugitive, and if you think you have found an appropriate pigeonhole for The Far Meadow, forget it. This track owes as much to jazz rock fusion at its best whilst still wearing its prog both old and new (I loathe the term Neo, pseudo-intellectual wordsmithery) on its sleeve. l like the curved ball that I believe The Fugitive carries, it is the same as before, but different. Which brings us to the eponymous track, Foreign Land. Foreign Land inhabits the spaces similar to the first three tracks, blending much, acoustic and electric, and if I’m honest a quality that drew me to Genesis back in 1973. In terms of modern keys and the ability to reproduce a variety of sounds, I cannot tell what is an original instrument (harpsichord or spinet?) and what comes from a box of tricks; who cares? Again, the jazz influence shines, and I can only imagine that Paul, Denis, and Keith may have played a little. Even at 11 minutes I find I am still attentive. A well-constructed album, and though there is much I am aware to come, well in for a shout for top five come year’s end. 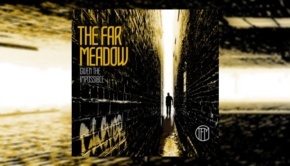 The Far Meadow are scheduled to appear at Summer’s End in early October, and with this as a reference point, they’re worth the ticket price. 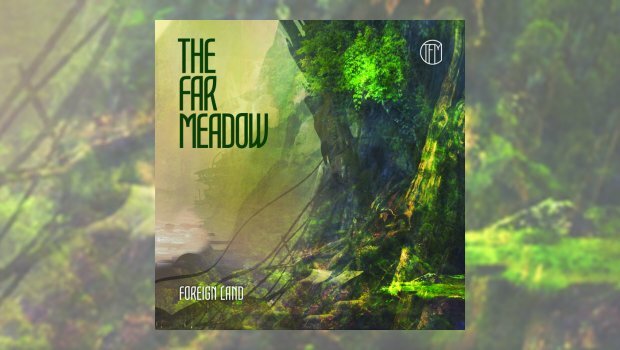 Foreign Land is, I think, an essential purchase for lovers of the mellower end of today’s progressive music. If you want rock riffs and angry vocals you may be disappointed, but anything else with a touch of delightful fusion, then send them the money. You’ll make an alleged grumpy old man at BEM happy at least. It matters not the colour of my passport, the borders to be crossed, Foreign Land is another country to which I suspect I shall choose to become a frequent traveller.